Oh, the places I've been... now in picture form! Detroit, Michigan, a photo by Mdrewe on Flickr. 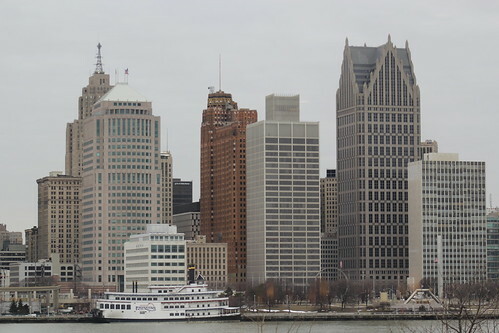 The skyline of Detroit, seen in the safest possible way: from across the river, in Windsor, ON, Canada. Hoboken, NJ skyline, a photo by Mdrewe on Flickr. The skyline of Hoboken, NJ, just on the west side of the Hudson river. Get Out Your Funbrella!, a photo by Mdrewe on Flickr. 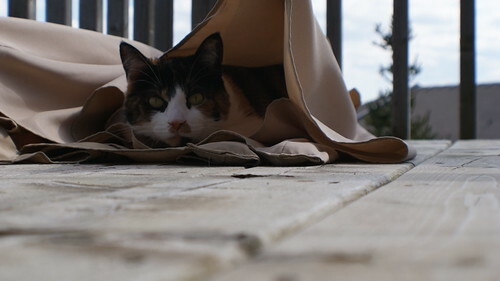 Ms. Kitter (Percie) lounging on the deck underneath the safety of a collapsed deck umbrella. She's suspicious of my camera! Lightstreaks under the Moon, a photo by Mdrewe on Flickr. 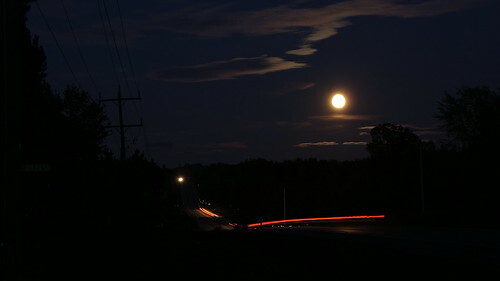 The moon shines brightly, illuminating the gentle slopes of the road while cars streak by in this long-exposure take. 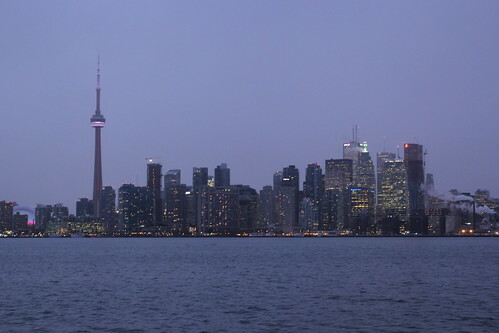 Sunset in Toronto, a photo by Mdrewe on Flickr. The lights come on, one by one, as the sun dips below the horizon. 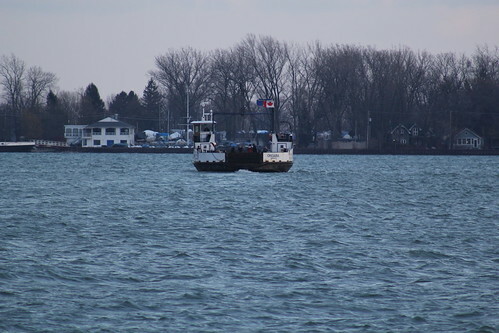 Toronto Island Ferry, a photo by Mdrewe on Flickr. On route to Ward's Island. I missed it, but managed to snag this nifty shot as a consolation prize. Banking and Condos, a photo by Mdrewe on Flickr. 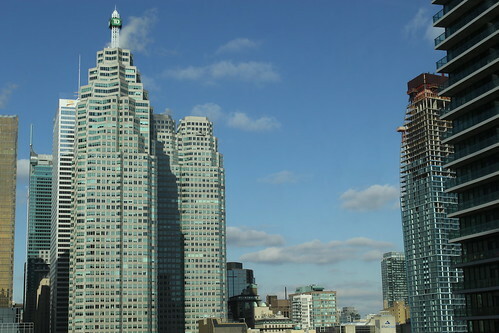 The TD tower heads up the front line against the advancing condos.